Magnitudo Film, the production company which redefined the standard of promoting culture in Italy and around the world through art documentaries, is facing a new wall-breaking challenge, diving into domestic theatrical distribution in partnership with the one European TVOD platform which dared the giants of the on demand CHILI. Within the framework of the 75th Venice International Film Festival, Magnitudo will present its upcoming “Magnitudo with Chili” line up and show exclusive clips of its new titles Bernini and Palladio – The Power of Architecture. The event: “Da Palladio a Bernini, quando il cinema è arte” will take place on Sunday September 2nd at 3:00 pm at the Hotel Excelsior (Room Tropicana1). Prominent art world figures such as Lionello Puppi, Antonio Foscari, Anna Coliva and Luigi Ficacci will intervene. 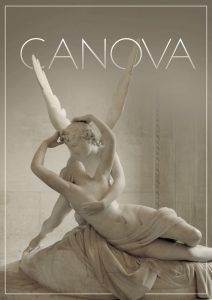 Gianni Canova will host the talk. No artist has defined 17th-century Rome more than Gian Lorenzo Bernini and there is probably no better place to appreciate his talent and genius than the Galleria Borghese in Rome. The film will give viewers the chance to finally immerse themselves in his stunning sculptural groups and discover what the word Baroque really means thanks to the amazing exhibition dedicated to him. Everybody knows the T-Rex and the other dinosaurs we normally see in natural history museums. But where do they come from? How do these giant creatures of the past end up on display? 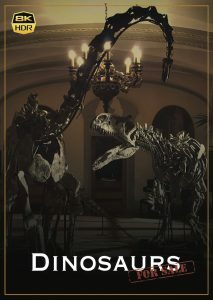 We trace the path of these fascinating pre-historic beings from the digging sites to the labs where the bones are reassembled by some of the world’s most renowned experts and to the world’s most famous museums. 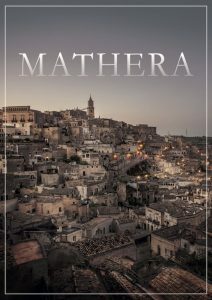 Mathera has long been the most representative site of agricultural life and rural culture in Italy. Now, this fascinating city is on the UNESCO’s world heritage list. It lies at the heart of an extremely fascinating region, where tradition, science and technology coexist and thrive together, creating an unforeseen bridge between its folkloristic past and its bright, promising future. 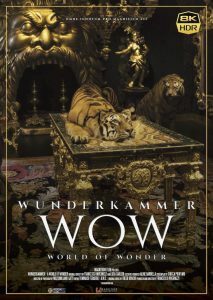 Wunderkammer – also known as cabinets of wonder or cabinet de curiosités in French – emerged among sovereigns and elite collectors in the 16th century. There are extraordinary rooms all over the world: those of the past and those of the present, whose wonders come from the most prestigious galleries to be displayed in amazing villas and castles. Often regarded as the greatest of the Neoclassical artists, his extraordinary work has amazed, inspired and moved us for centuries. Our film portrays his artistic growth, from his first experiences in Venice, near his hometown, to his work in Rome, Paris and finally back to Venice again. The journey of a humble Venetian apprentice who was destined for greatness and became an icon just like Michelangelo and Bernini. 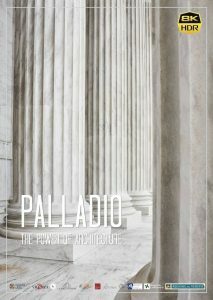 The White House, the Congress Building, the New York Stock Exchange, Jefferson’s Monticello home: for five hundred years, Andrea Palladio has inspired the world’s architects and today he’s considered “The Father of American Architecture”. Discover the Power of Architecture and the Architecture of Power through this extraordinary film about the true master of Neo-Classicism.